Sonja Farak at her 2013 arraignment in Belchertown. For years, Sonja Farak was addicted to cocaine, methamphetamine, and amphetamines, the kind of drugs usually bought from street dealers in covert transactions that carry the constant risk of arrest. But between 2004 and 2013, the state chemist never left the office to feed her addiction. Now, defense lawyers say the discovery of Farak’s confessions in therapy prove that her evidence tampering — which state law enforcement officials had initially insisted was confined to a handful of cases starting in 2012 — was far worse than previously disclosed. About 10,000 or more prosecutions may have been tainted, they said. The court ruled that state leaders failed to fully investigate how many times a former state chemist tampered with evidence. Gioia called for an “independent, completely transparent investigation’’ into the thousands of people potentially affected by Farak’s tampering. A spokesman for the Executive Office of Public Safety and Security declined to comment, citing what he called an ongoing investigation by current Attorney General Maura Healey’s office. Healey was not involved in the original Farak investigation and defense attorneys credit her for committing to resolving the issue quickly. Farak was arrested in January 2013 and prosecuted by the office of former attorney general Martha Coakley. Coakley declined comment Thursday and referred all questions to her successor. 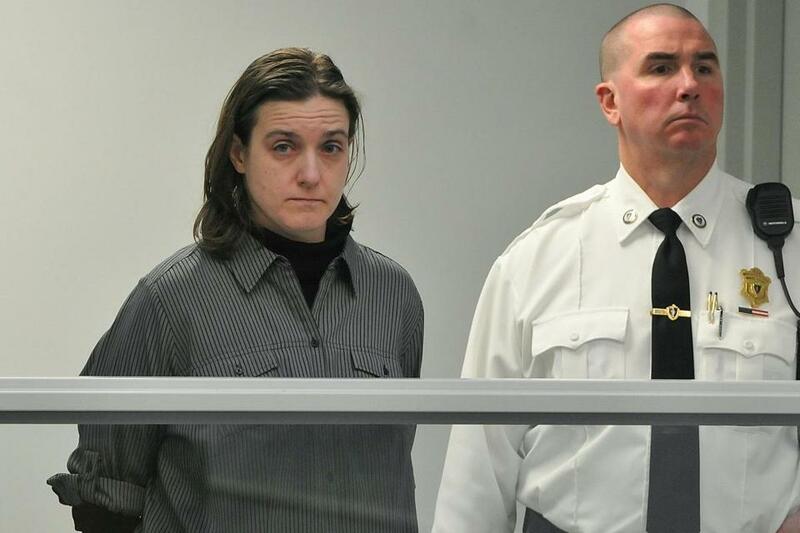 Farak’s case surfaced months after another state chemist, Annie Dookhan, was arrested in September 2012 and found to have fabricated evidence in thousands of samples she tested at a second state lab in Jamaica Plain, possibly tainting as many as 40,000 cases. Dookhan is serving a three-to-five-year prison sentence. The Dookhan case is not believed to be connected to the Farak case. Farak pleaded guilty in Hampshire Superior Court in early 2014 to four counts of tampering with evidence, four counts of stealing cocaine from the lab, and two counts of unlawful possession of cocaine, and was sentenced to 18 months behind bars. She has since been released from custody, officials said Thursday. In April, the state’s highest court found that top state law enforcement officials had failed to fully investigate the scope of Farak’s wrongdoing, noting that fewer than 10 samples for which she was the primary analyst were retested. The Supreme Judicial Court gave officials 30 days to decide whether to reopen the inquiry into thousands of evidence samples tested by Farak. But defense attorneys were digging deeper, and two of them, Luke Ryan and Rebecca Jacobstein, obtained Farak’s medical records. Among the roster of substances she consumed, all stolen from her lab: crack, cocaine, ketamine, acid, amphetamine, methamphetamine, MDMA, and marijuauna, according to the records. Farak’s attorney did not respond to a request for comment, and Farak could not be reached. The state’s district attorneys are undertaking research similar to that performed in the wake of the Dookhan scandal, identifying any cases in which Farak was assigned and providing docket numbers and other information to the attorney general’s investigators, said Jake Wark, a spokesman for Suffolk District Attorney Daniel F. Conley, who is president of the state District Attorneys Association. Northwestern District Attorney David E. Sullivan said in a statement he is tracking the results from Healey’s investigation. Like Gioia, he called for “an independent, comprehensive, and transparent’’ investigation. It is too soon, Loh said, to say how many people are impacted by Farak’s misconduct. It is imperative, he said, that officials begin compiling a list of names, even if some have completed their sentences. Ryan, who represents several defendants whose samples purportedly were tested by Farak, said some mental health records were found in Farak’s car in 2013, but when he asked to view evidence seized from the car, the attorney general’s office said its contents were “irrelevant” and his request was denied. When Ryan was finally able to view the evidence after Farak pleaded guilty, he found diary writings, apparently from 2011, about urges to “take drugs,” “shame” over her failure to resist, and notes about when she would be alone and able to get away with using. Gioia called the Farak case “déjà vu’’ because of its similarities to the Dookhan case. Like Farak, Dookhan’s misdeeds were initially dismissed as a minor issue by government lawyers. But, under prodding by the defense, the Dookhan scandal grew to encompass tens of thousands of defendants, triggered millions of tax dollars in spending on defense lawyers, the hiring of retired Superior Court judges to review appeals, and the hiring of special staffers in district attorneys’ offices to search nine years of records for Dookhan links. The solution, he said, is not to re-litigate affected cases. Evan Allen can be reached at evan.allen@globe.com. John Ellement can be reached at ellement@globe.com.